When and where could this be from? A lot of skin at that show. Don't tell that Hammy fellow! Was that the "edgelord" who was trying to "trigger" us with flippant homophobia? 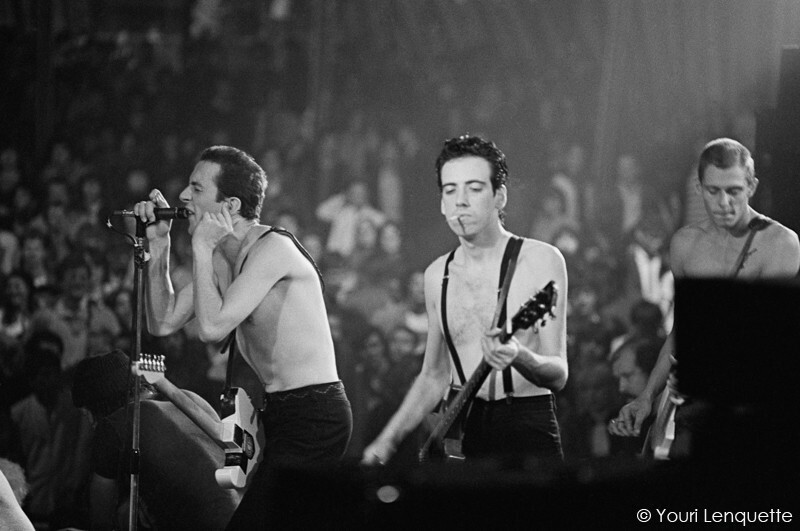 "Hey Mick let's kiss to the latest Clash love song"
Yeah not too many featuring Pete while Mick was still in the band. LOVE the style in this photo, Mick looks sharp as hell. Ha. Tucked in Izod shirt. Up there with their classic looks. The hat ties it together. I'm always struck by how goddamned skinny they all were. They could all escape thru chimneys and air ducts. 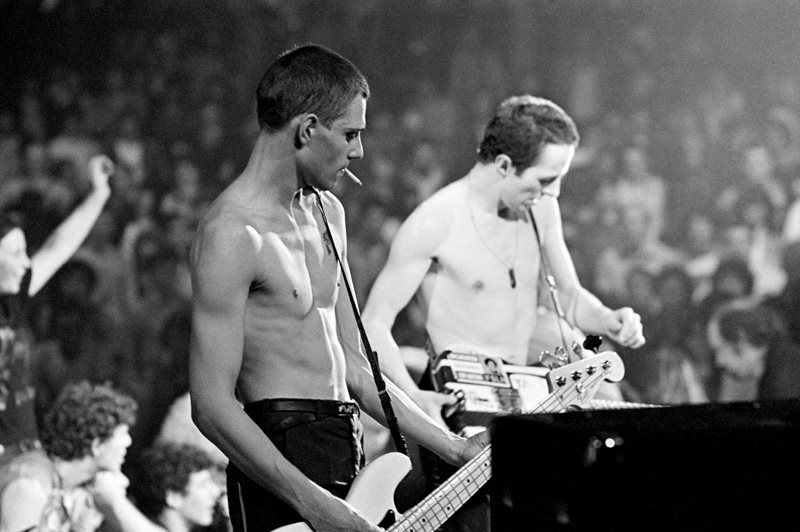 Pete and Paul had some relative brawn. Mick on the other hand, makes me feel jacked. Christ, was Mick a Carpenters fan? That's just painful looking. Cocaine: the breakfast of champions. More evidence to support my theory that 1978 was the worst year for Clash togs.